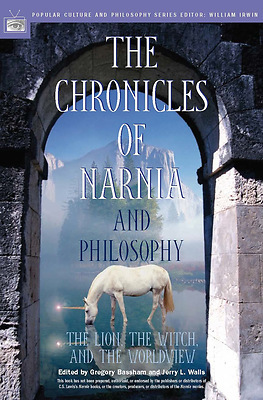 The Chronicles of Narnia series has entertained millions of readers, both children and adults, since the appearance of the first book in 1950. Here, scholars turn the lens of philosophy on these timeless tales. Engagingly written for a lay audience, these essays consider a wealth of topics centered on the ethical, spiritual, mythic, and moral resonances in the adventures of Aslan, the Pevensie children, and the rest of the colorful cast. Do the spectacular events in Narnia give readers a simplistic view of human choice and decision making? Does Aslan offer a solution to the problem of evil? What does the character of Susan tell readers about Lewis's view of gender? How does Lewis address the Nietzschean "master morality" embraced by most of the villains of the Chronicles? With these and a wide range of other questions, this provocative book takes a fresh view of the world of Narnia and expands readers' experience of it.